Frame in solid wood. Filling in high resilience foam and polyester fiber. Cushions with compressed fiber filled with latex pins. Steel tube base in high gloss chrome finish. Upholstered in Romo Delano fabric (70% viscose, 30% linen). 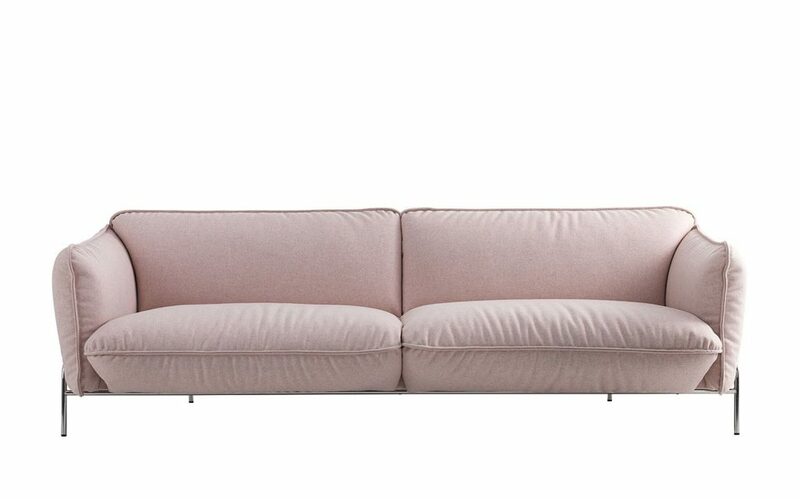 The Swedese Continental is an attractive, elegant and unashamedly comfortable sofa designed by Claesson Koivisto Rune. Continental Sofa was awarded with the prestigious “ELLE Interior Design Prize 2012” and is also nominated for the ELLE Deco International Design Awards.